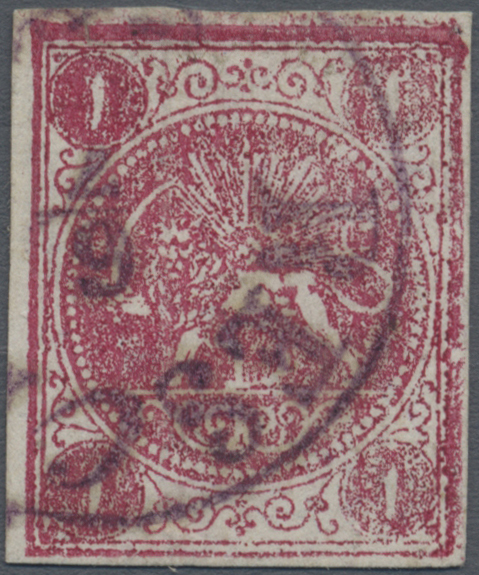 8170A gestempelt (marked) Sc. 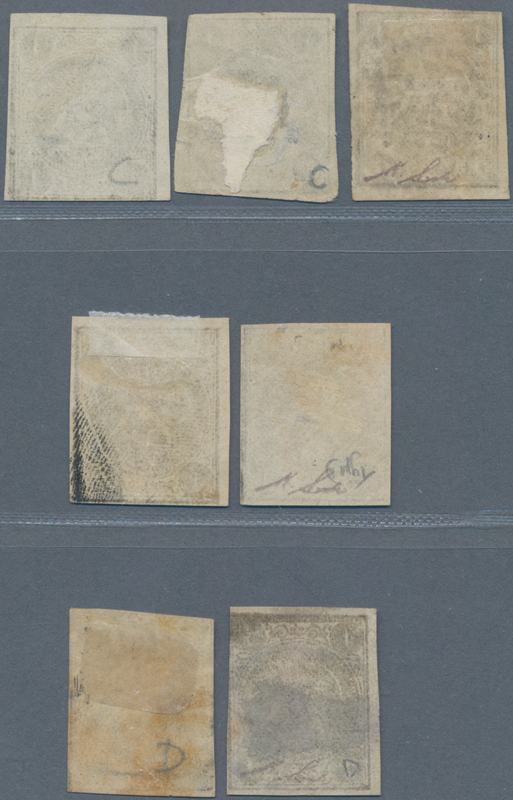 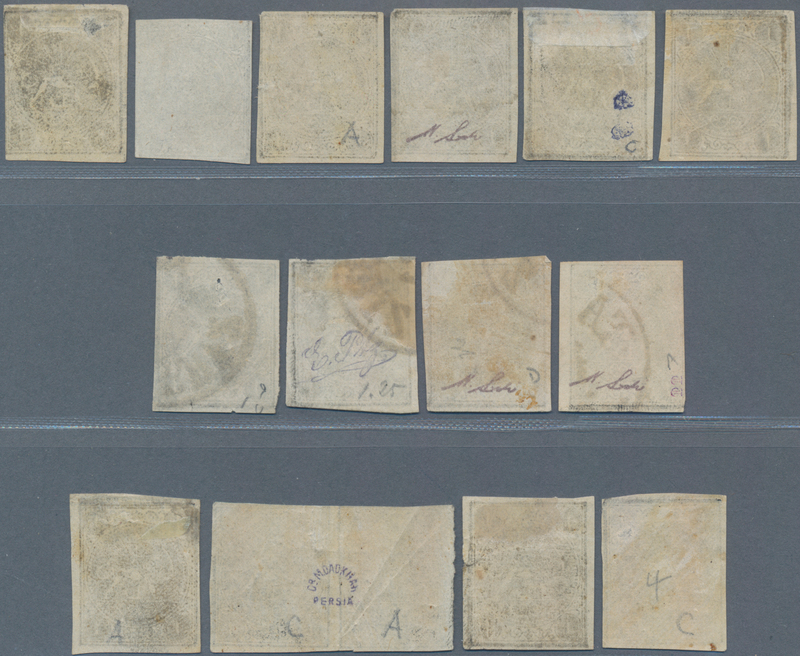 11/14 1875, Rouletted issue, 1ch.-8ch., four used values, slight imperfections. 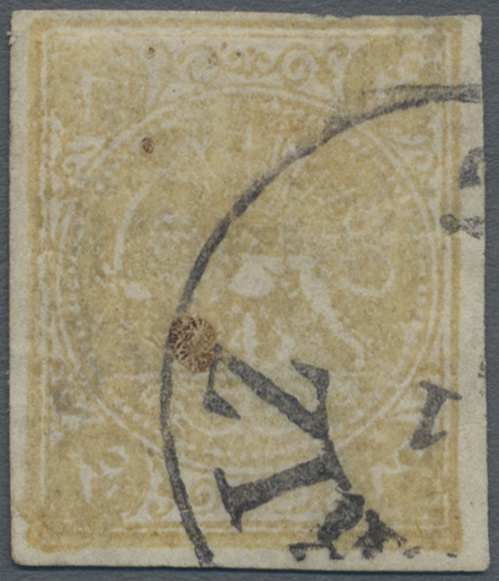 8170B gestempelt (marked) Sc. 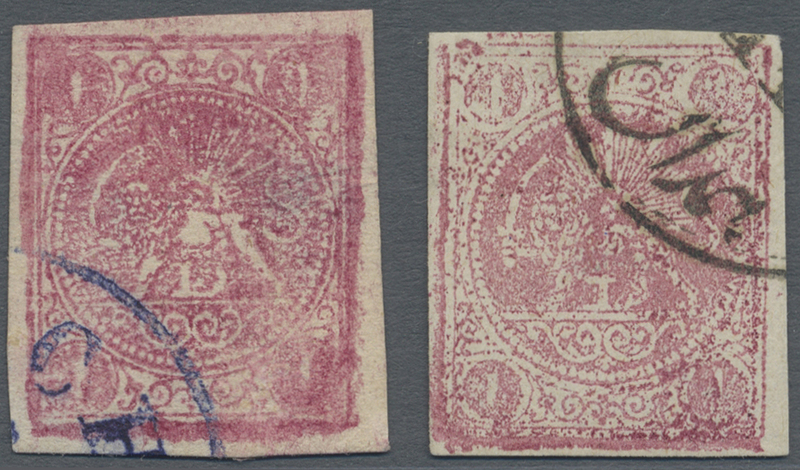 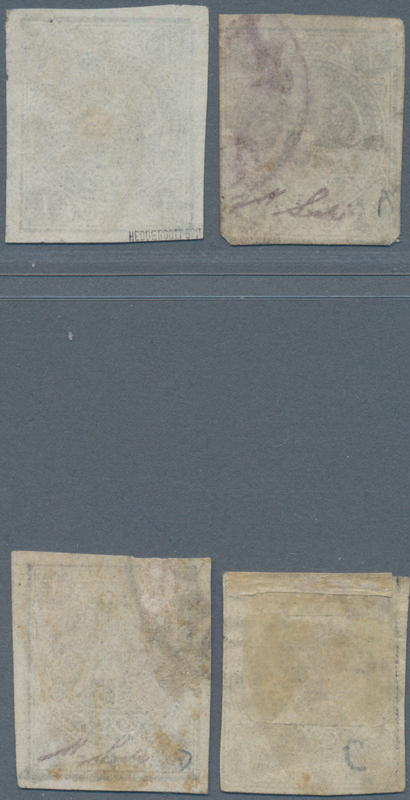 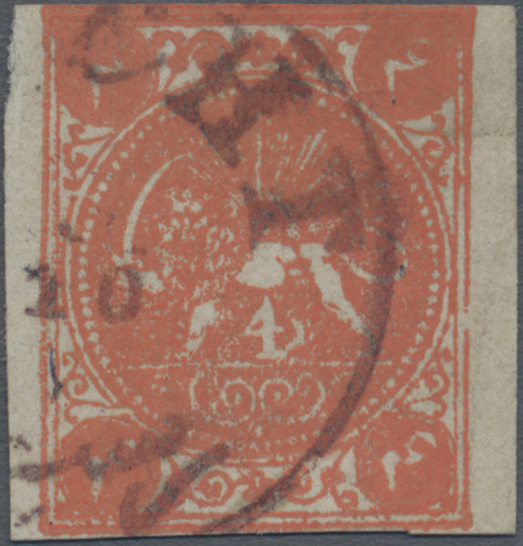 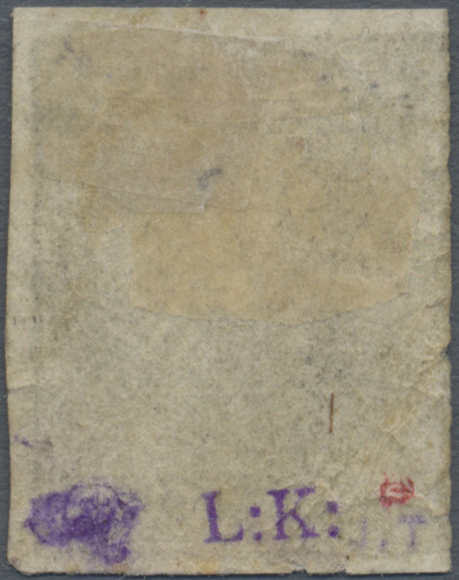 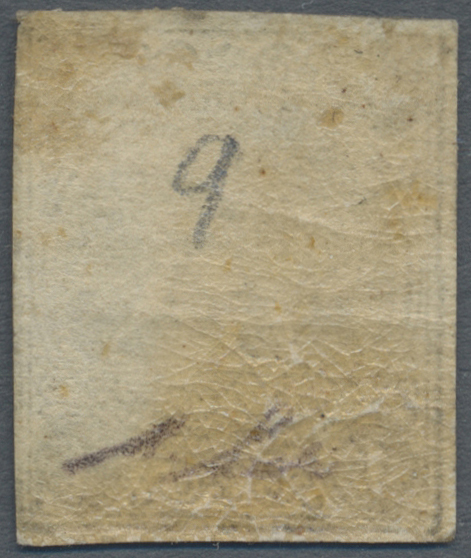 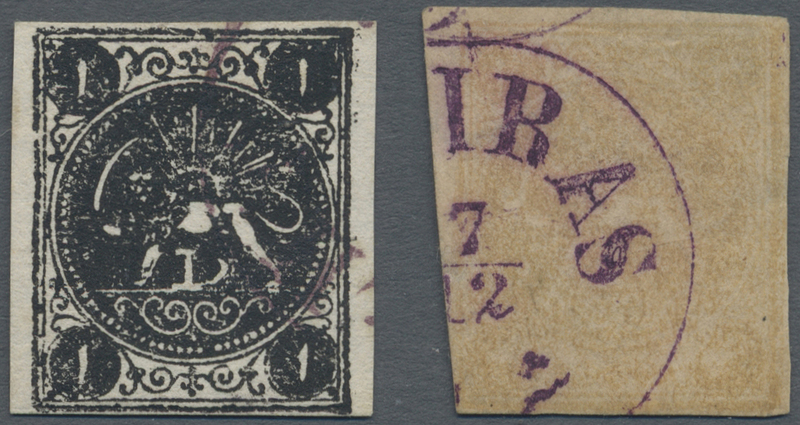 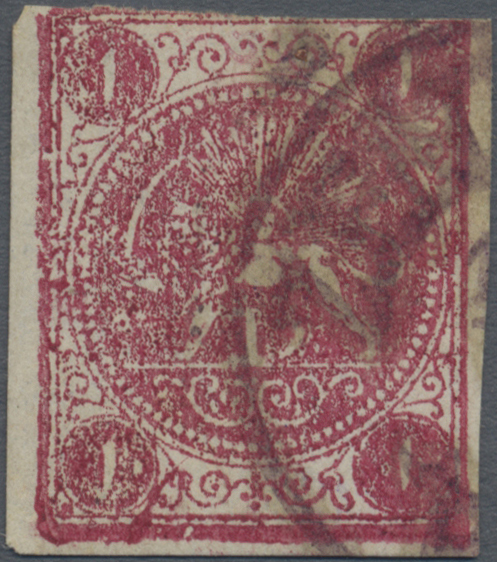 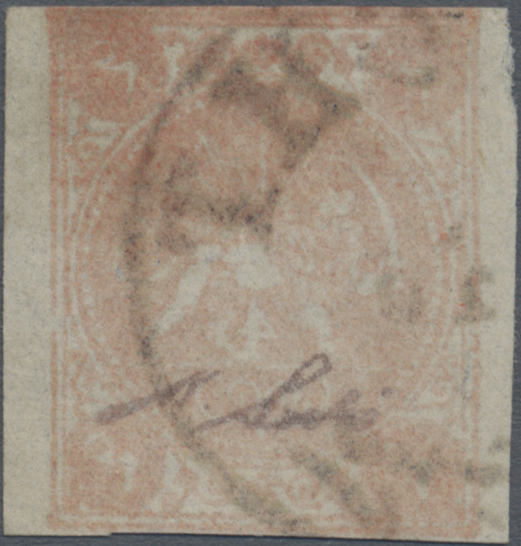 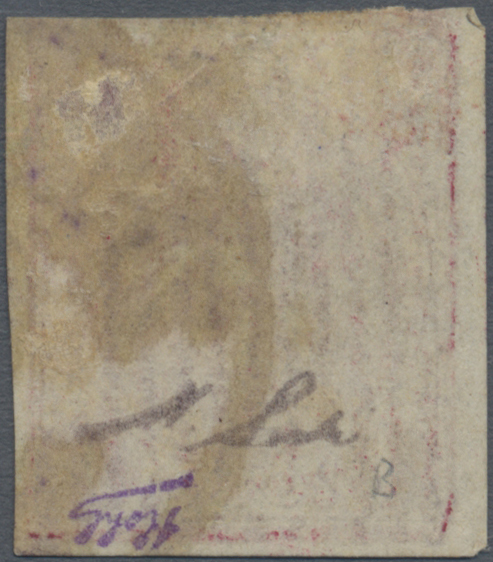 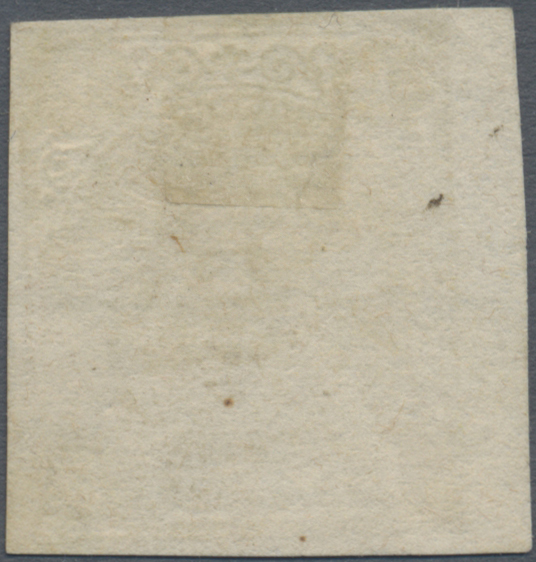 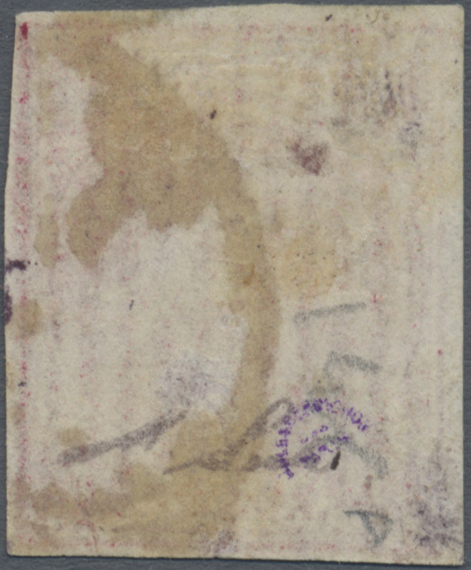 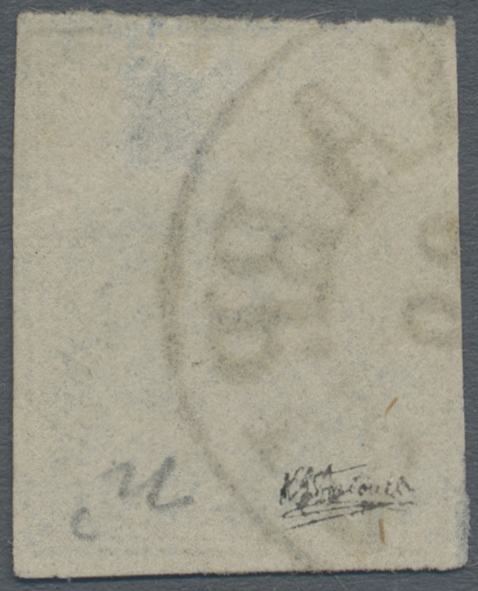 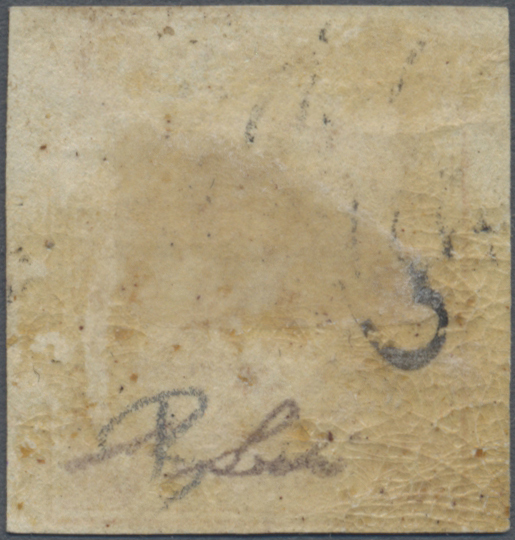 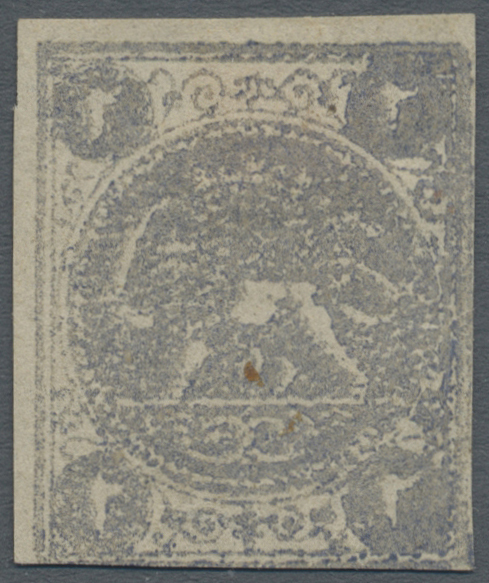 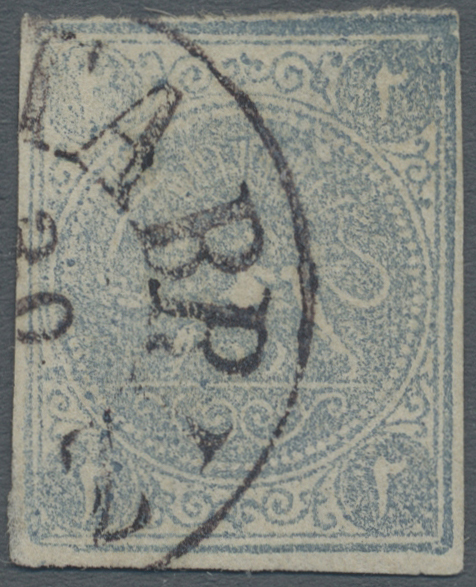 11, 20 1875/1876, Rouletted issue 1ch. 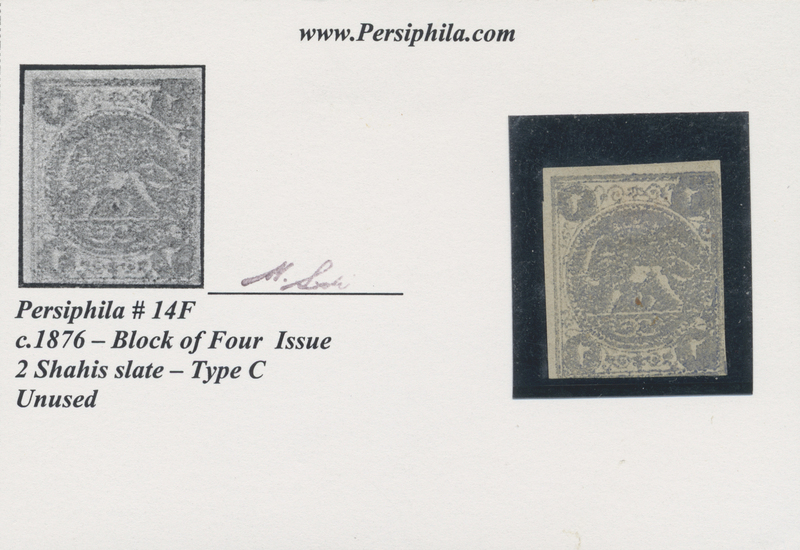 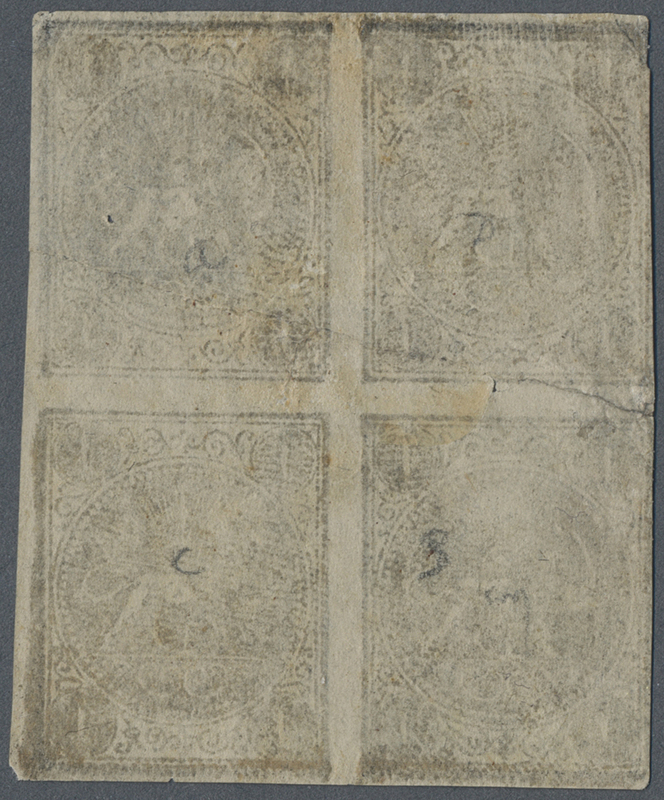 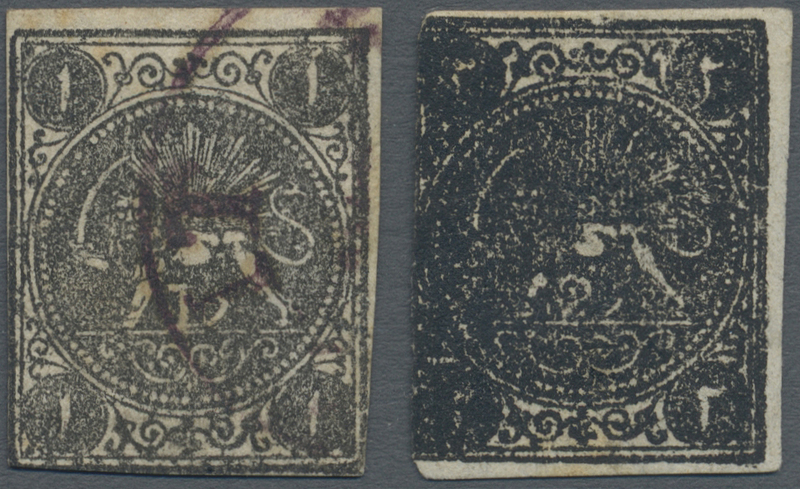 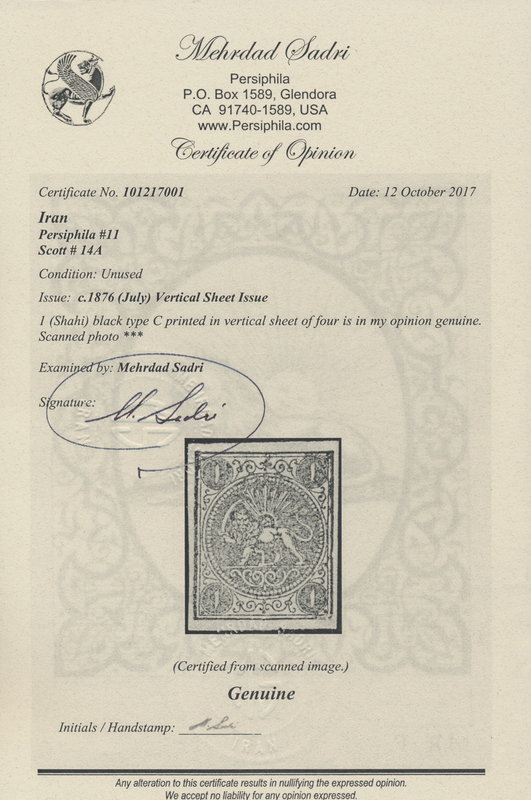 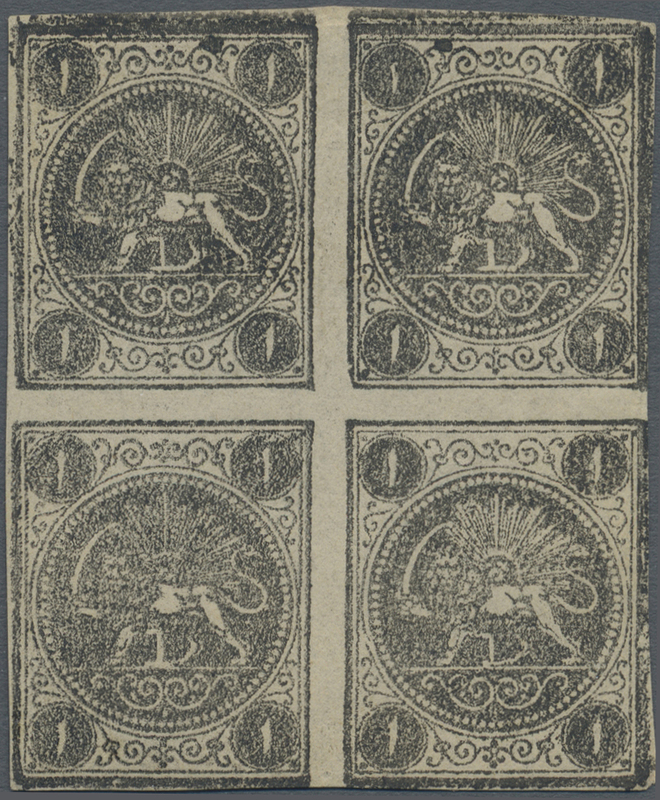 black and Block of four issue 4kr. 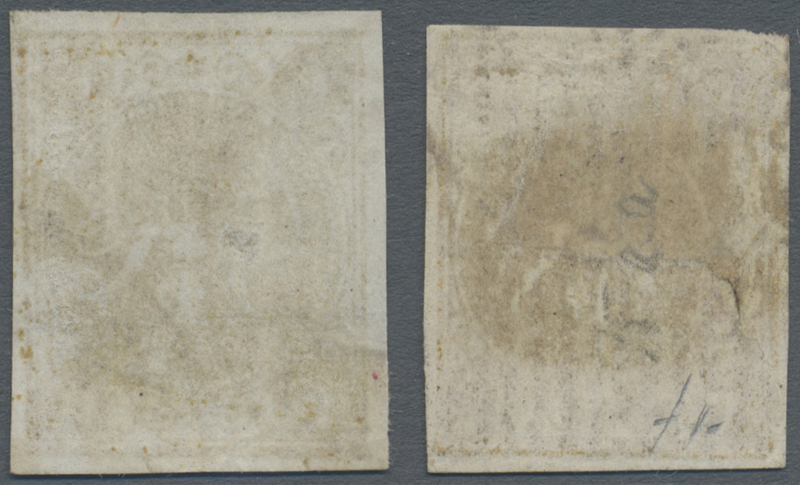 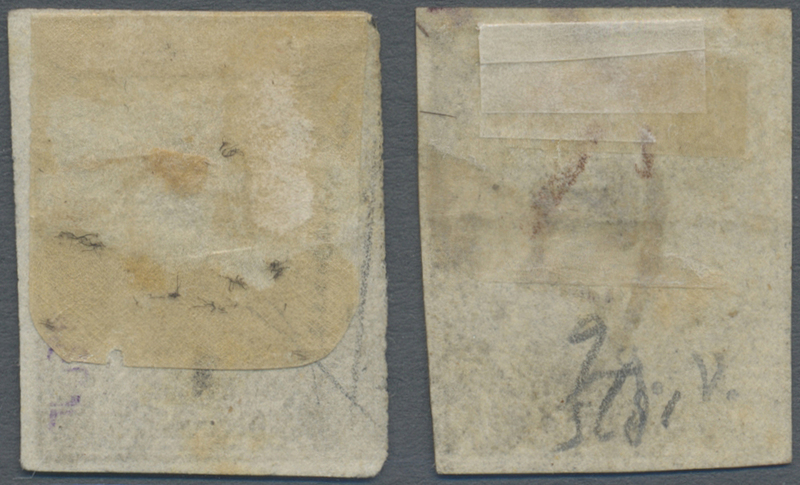 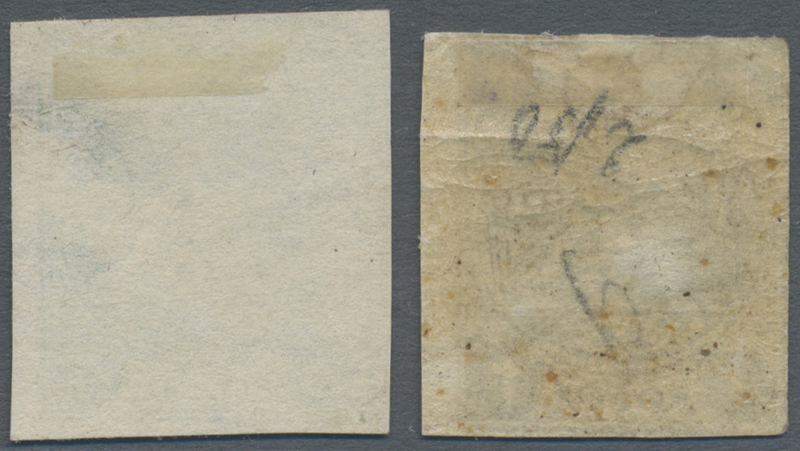 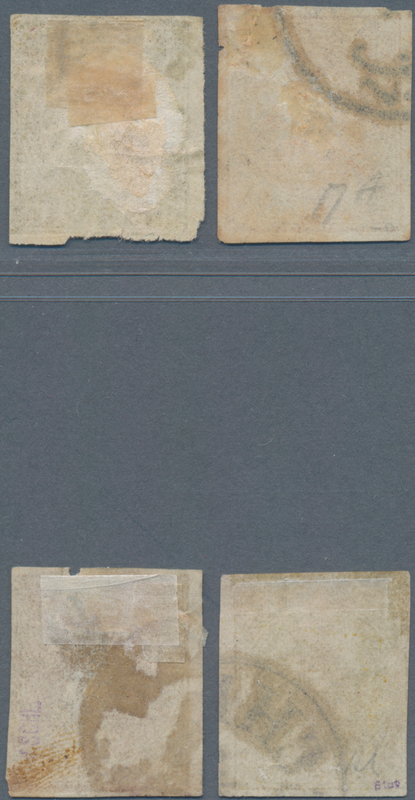 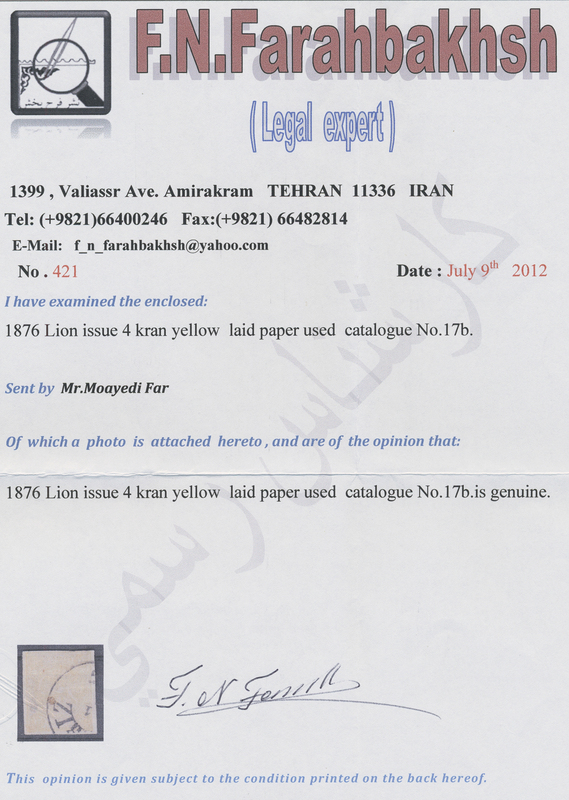 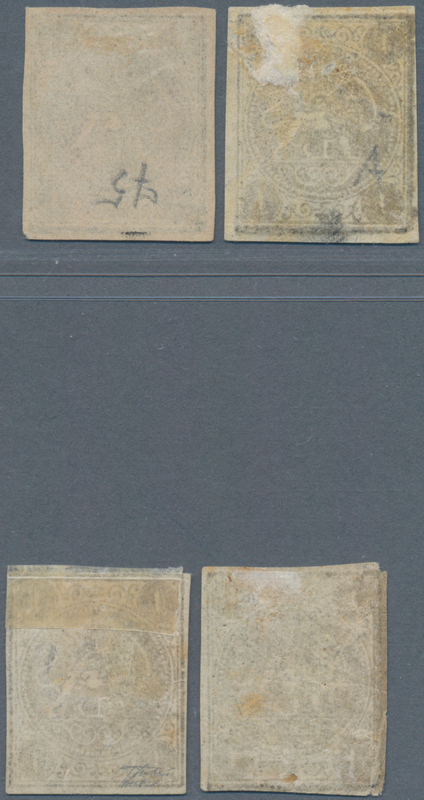 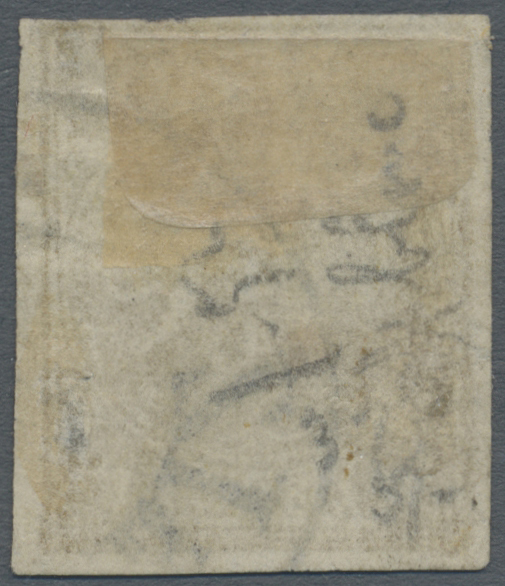 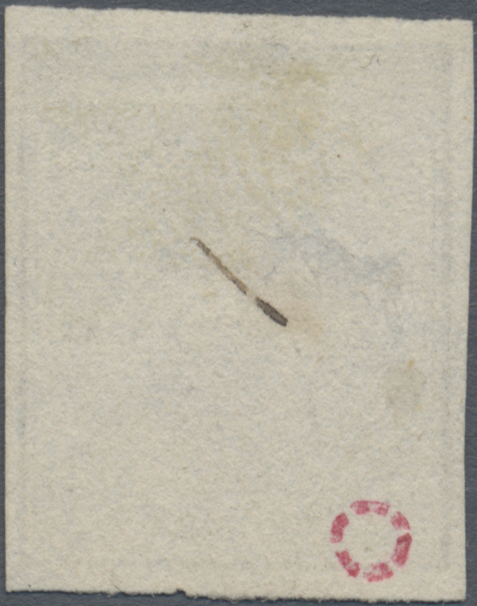 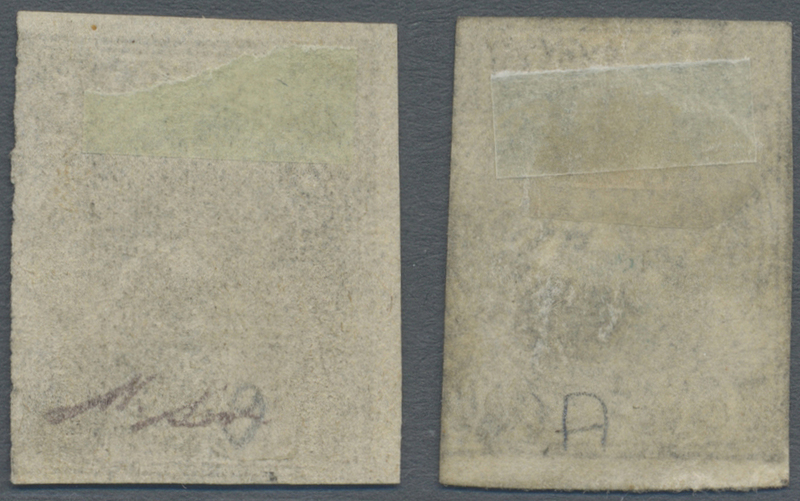 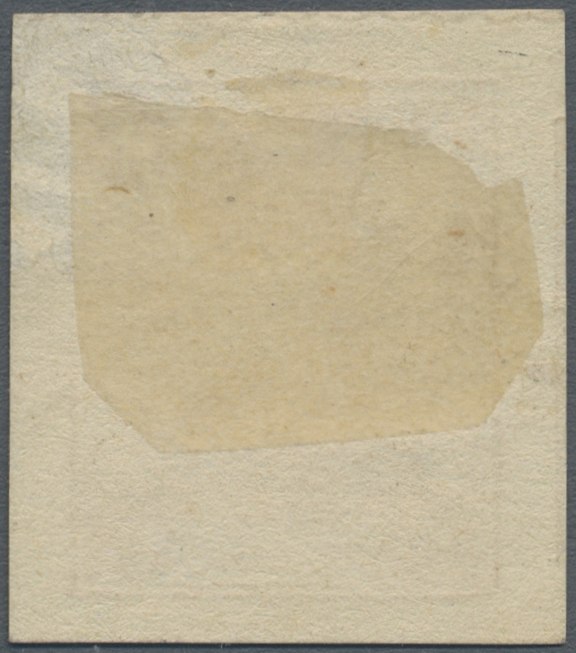 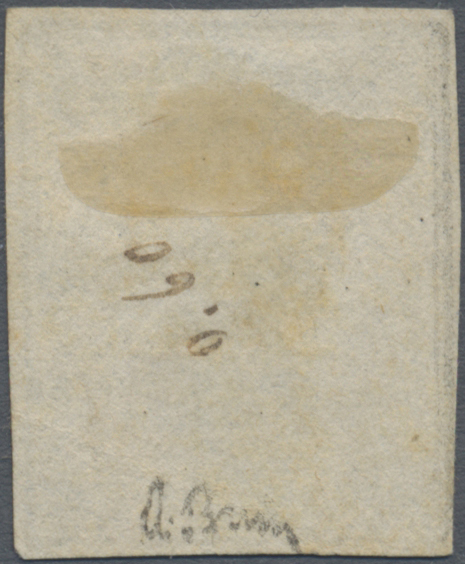 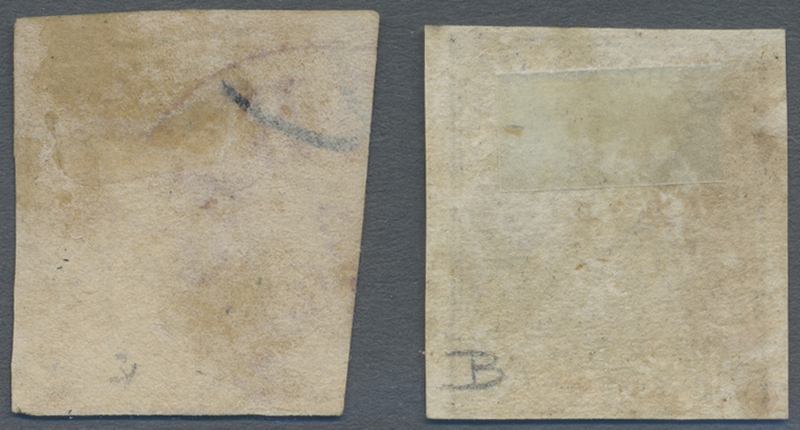 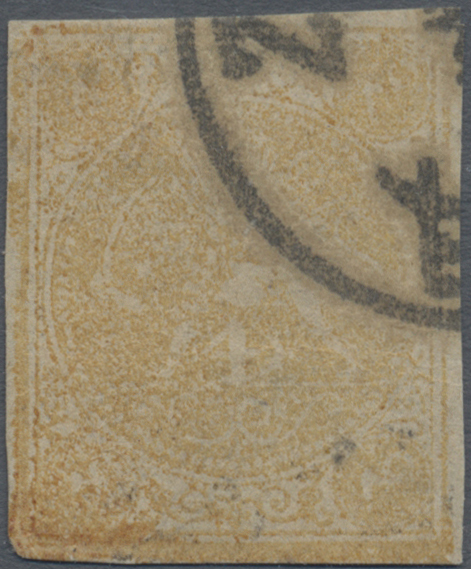 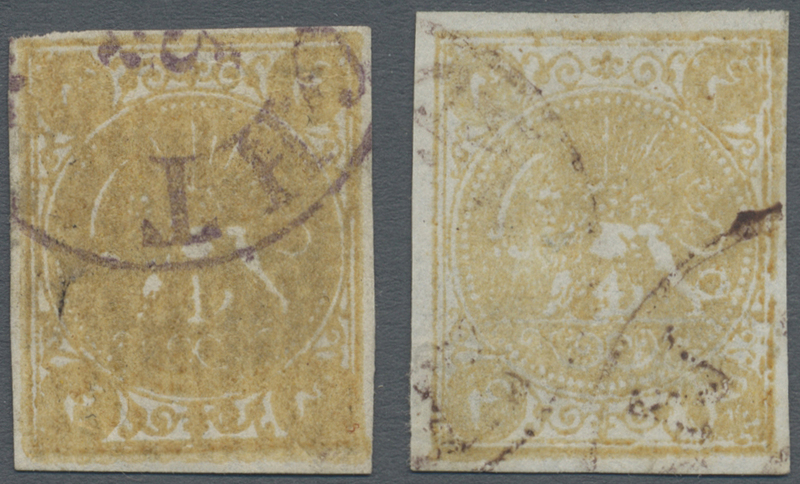 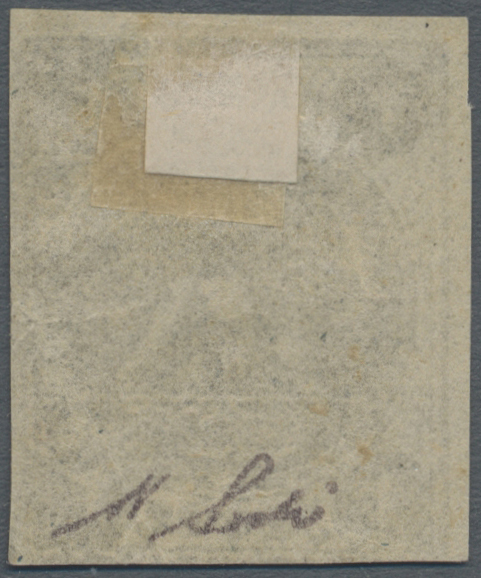 yellow (slight imperfections), two used copies. 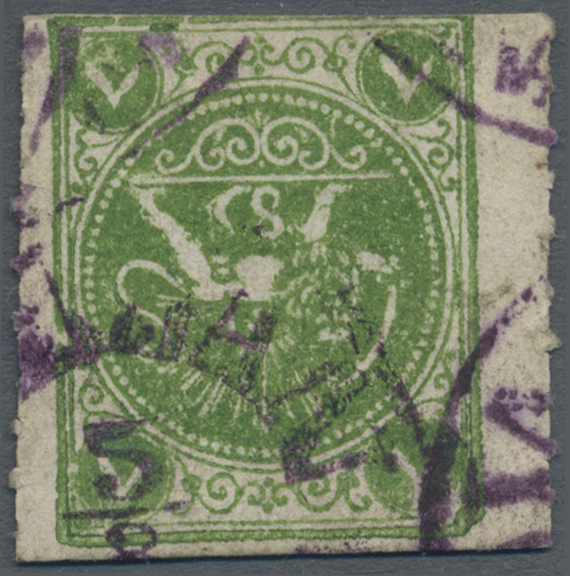 8200A gestempelt (marked) Sc. 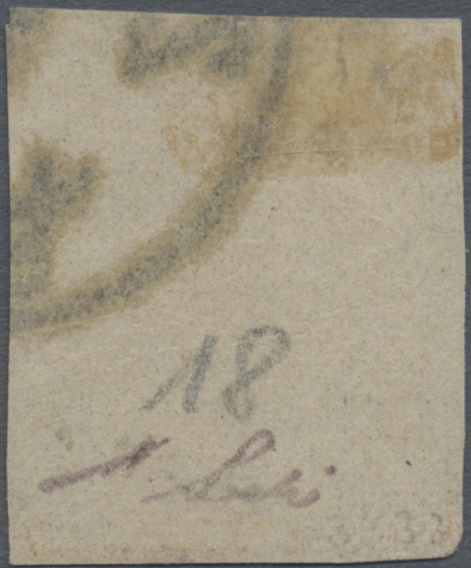 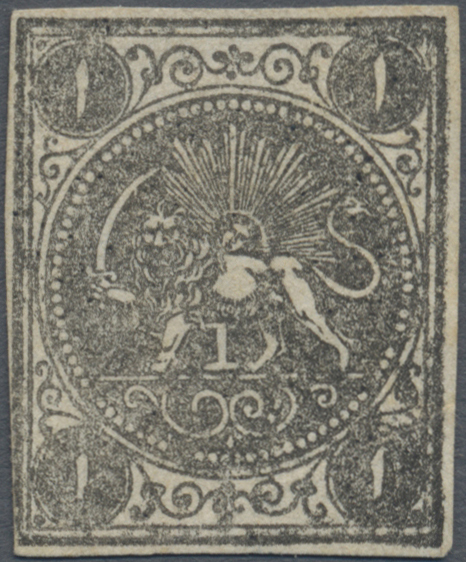 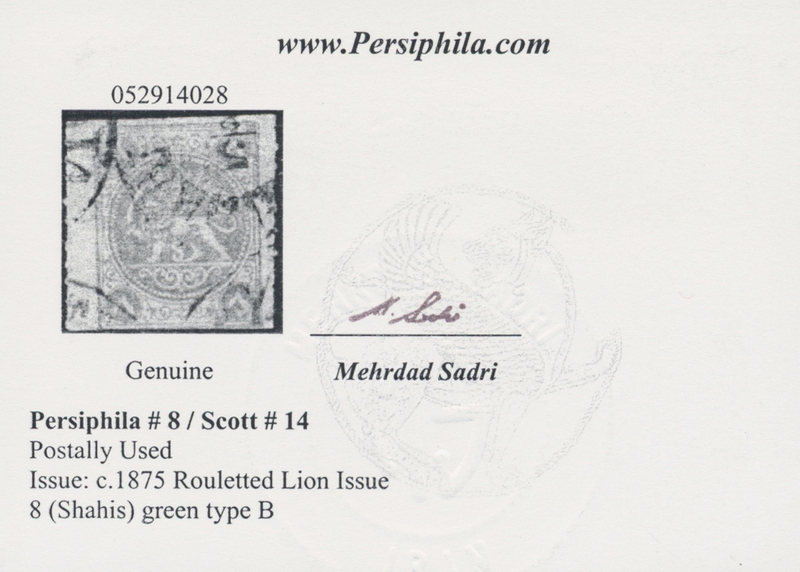 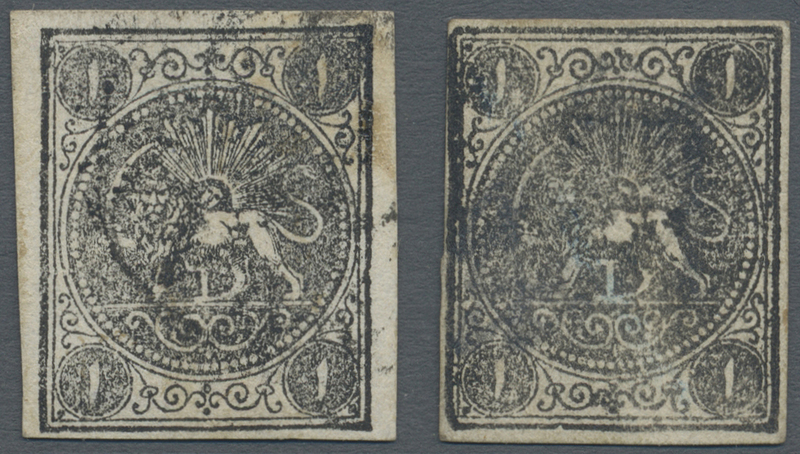 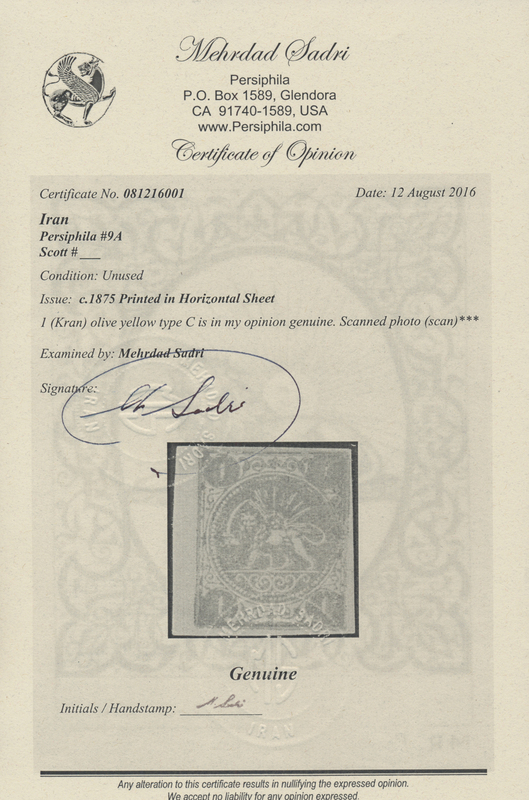 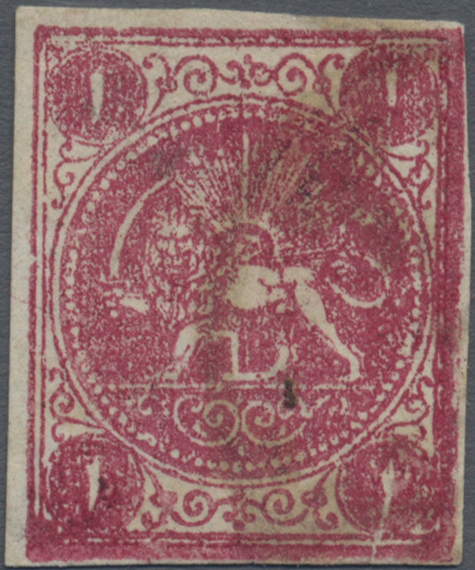 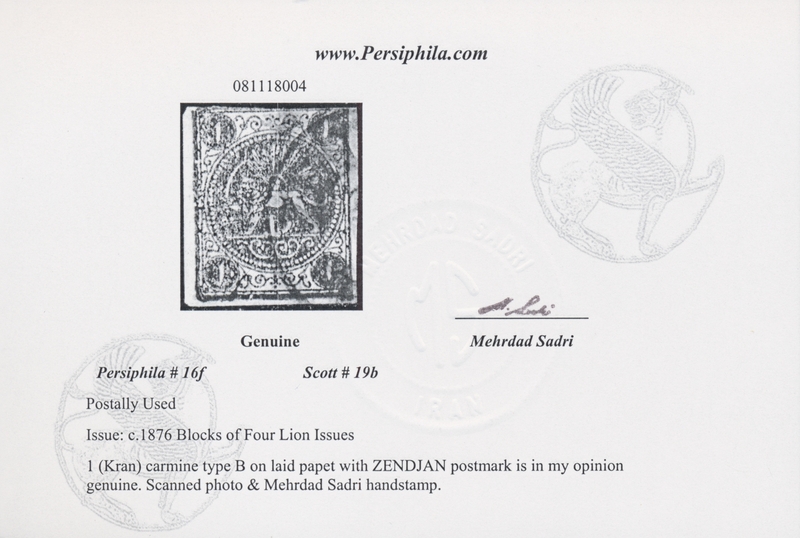 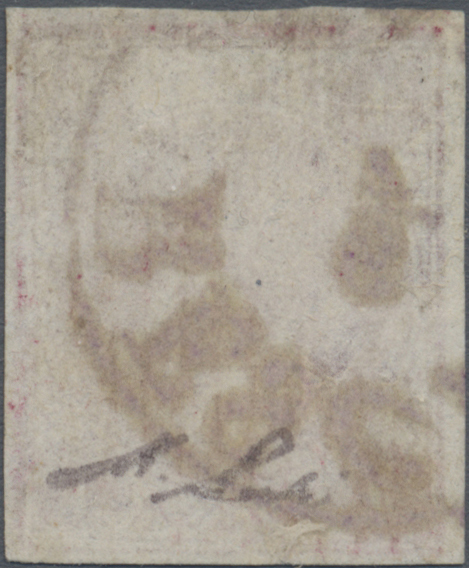 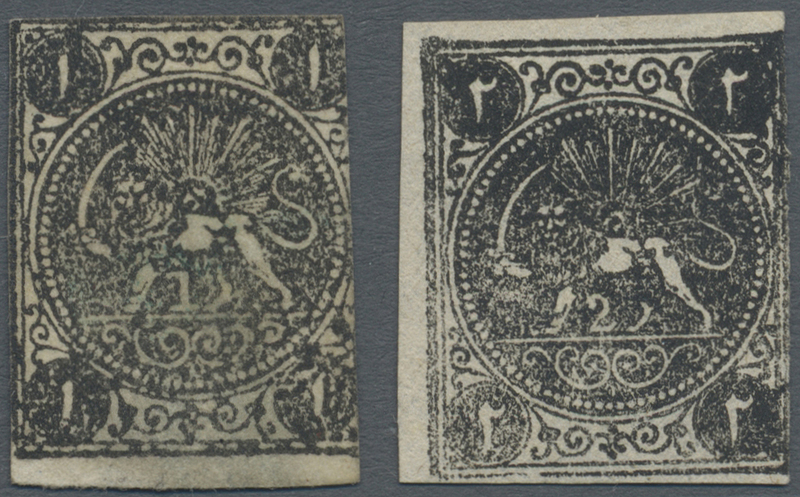 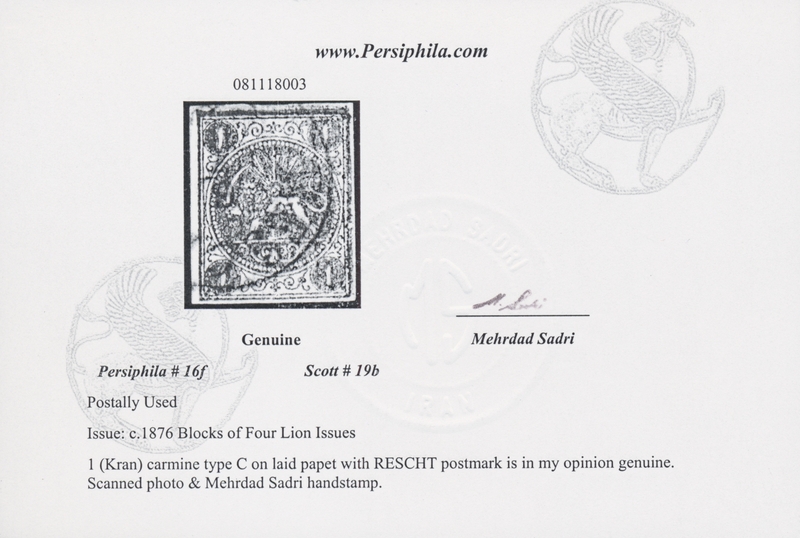 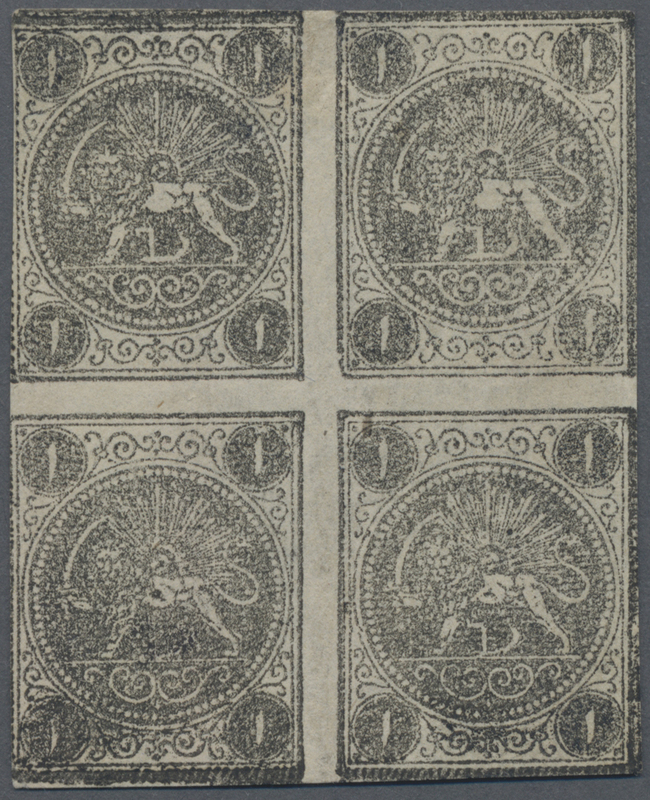 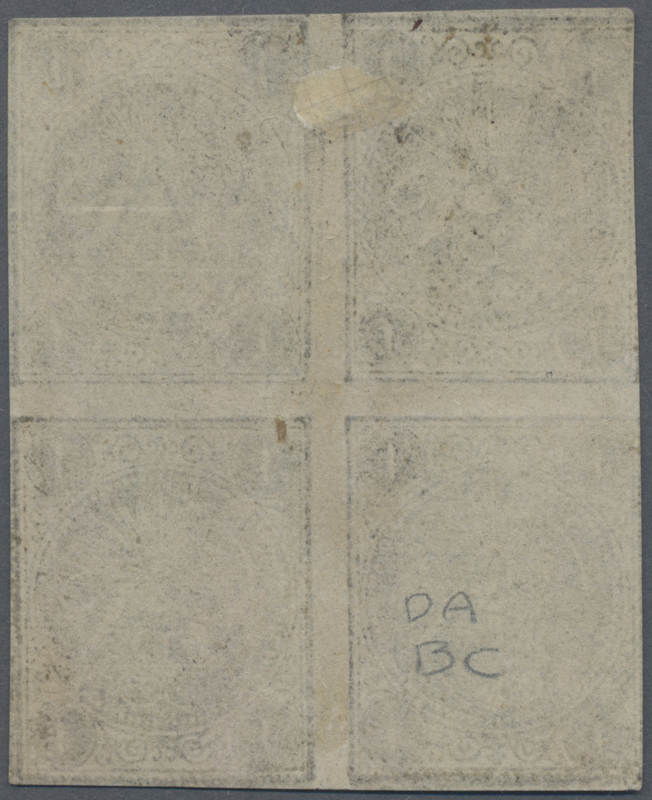 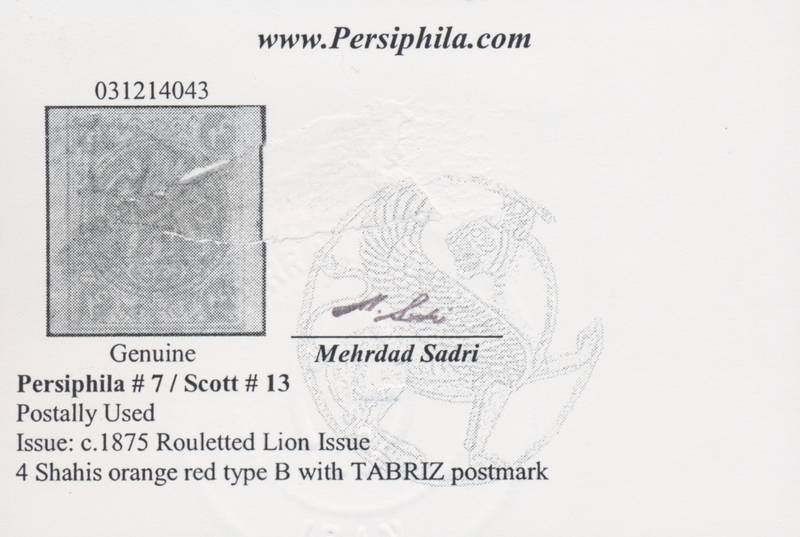 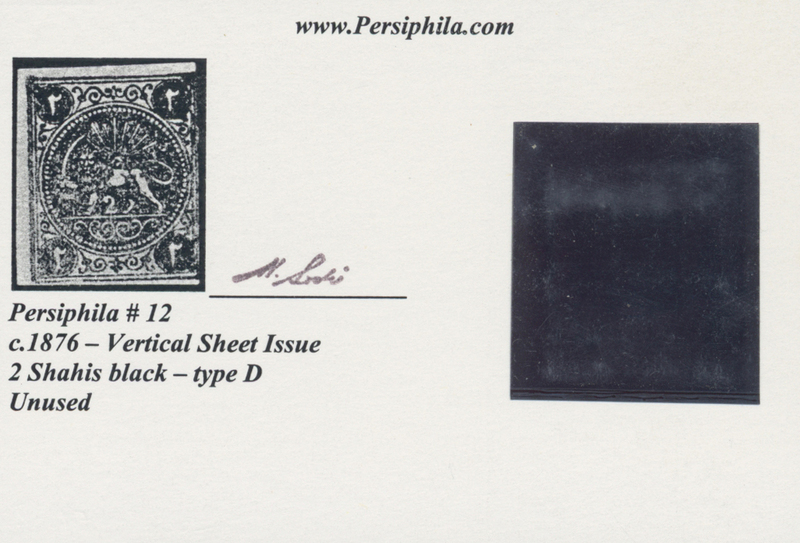 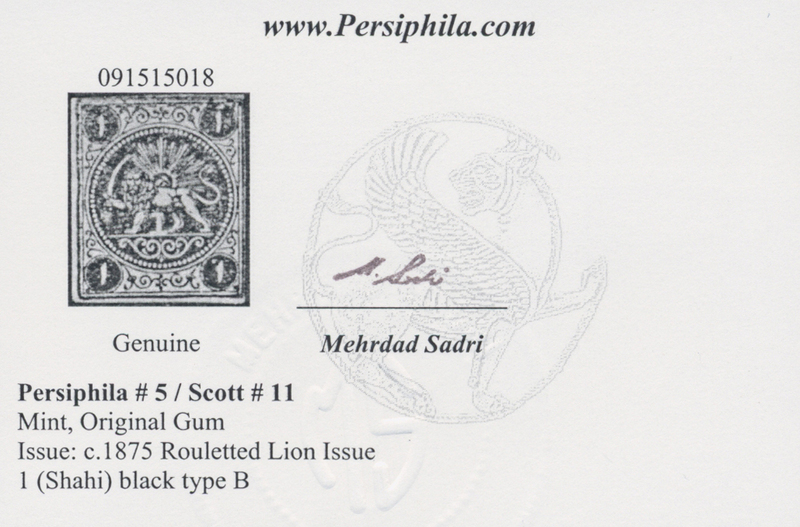 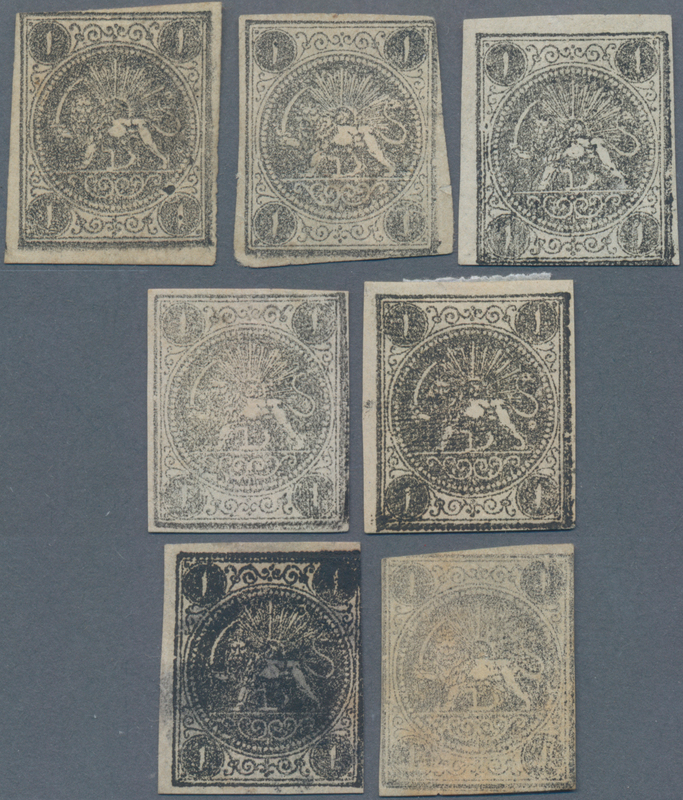 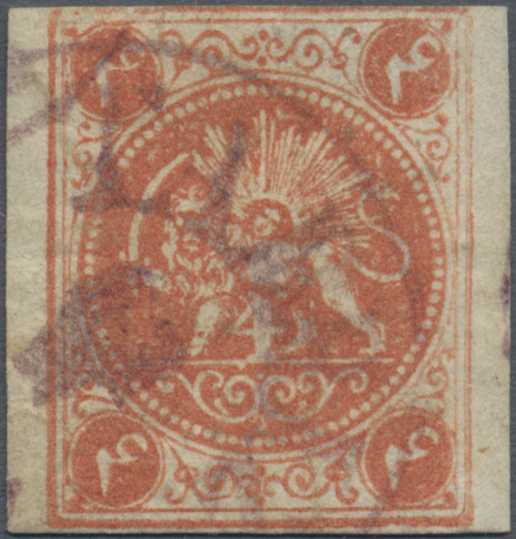 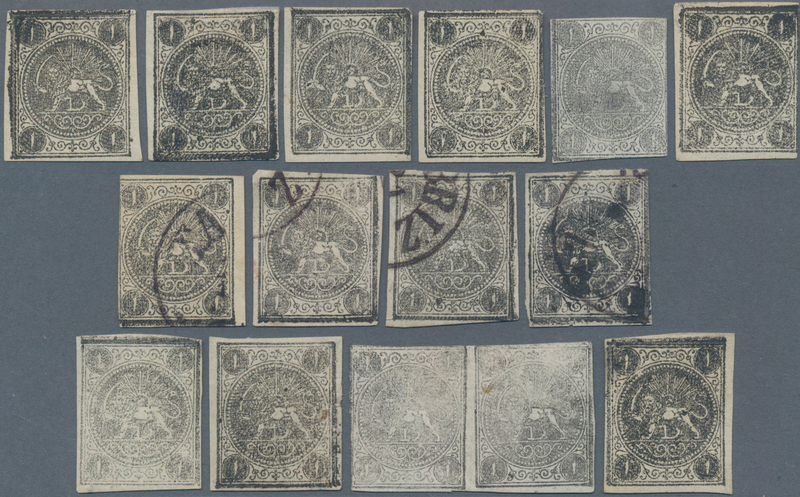 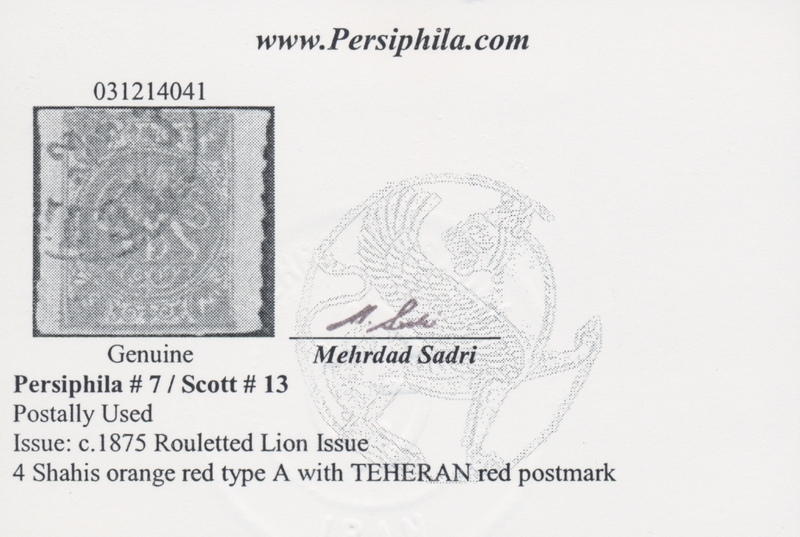 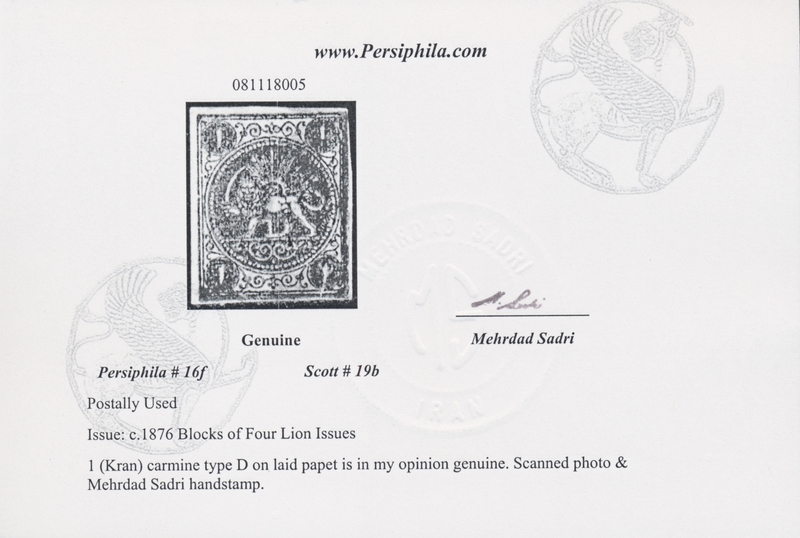 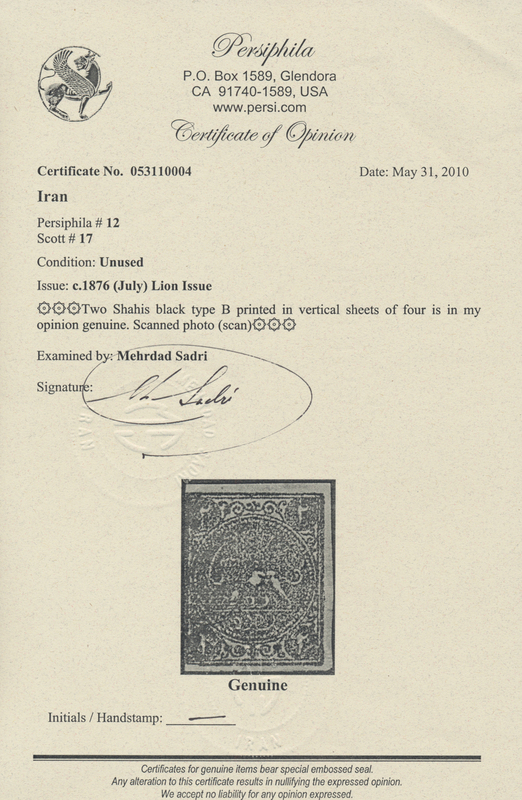 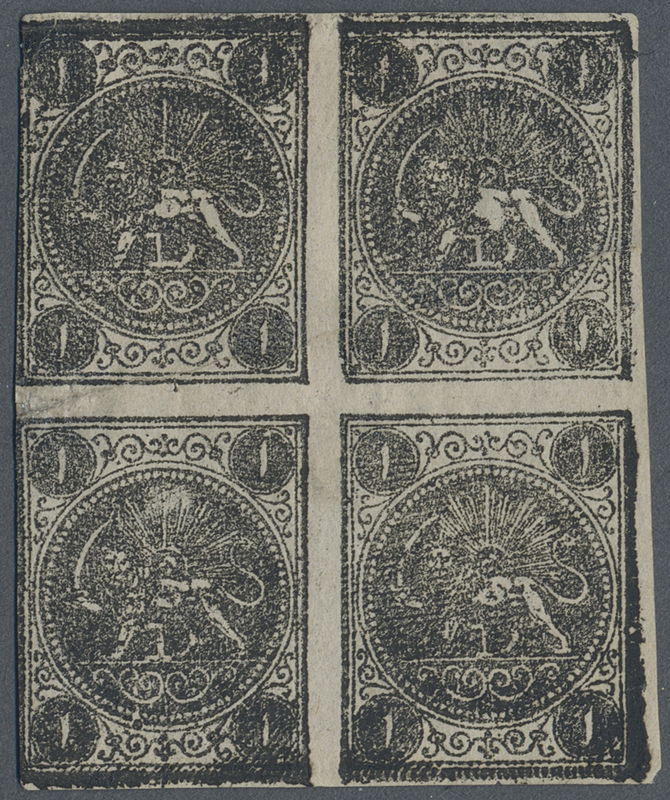 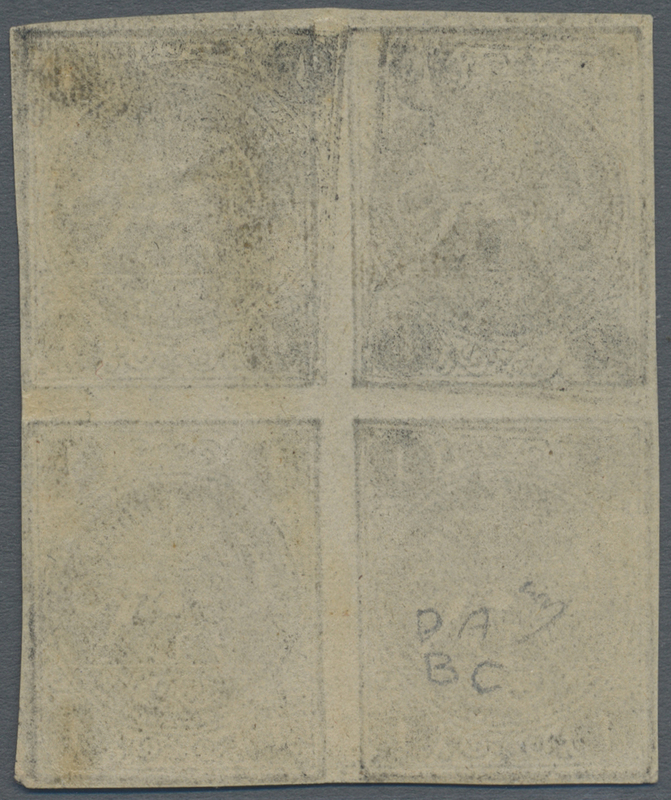 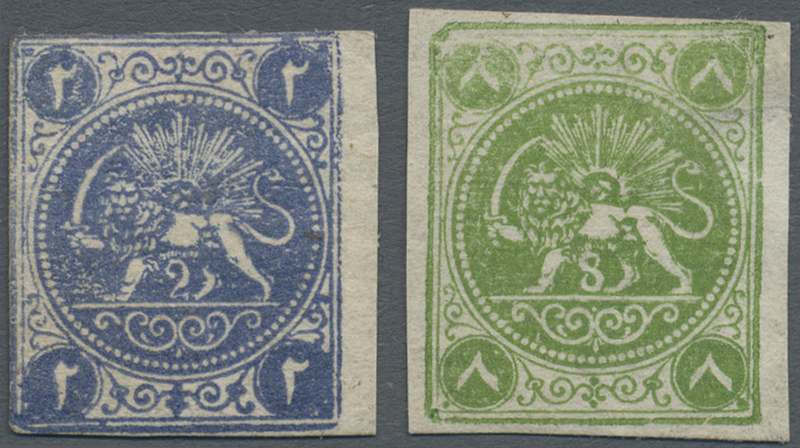 19 (2) 1876, Lion issue, 1ch. 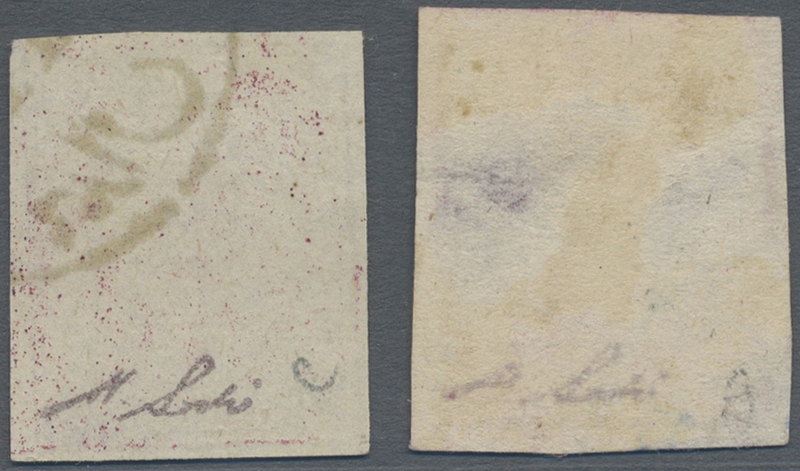 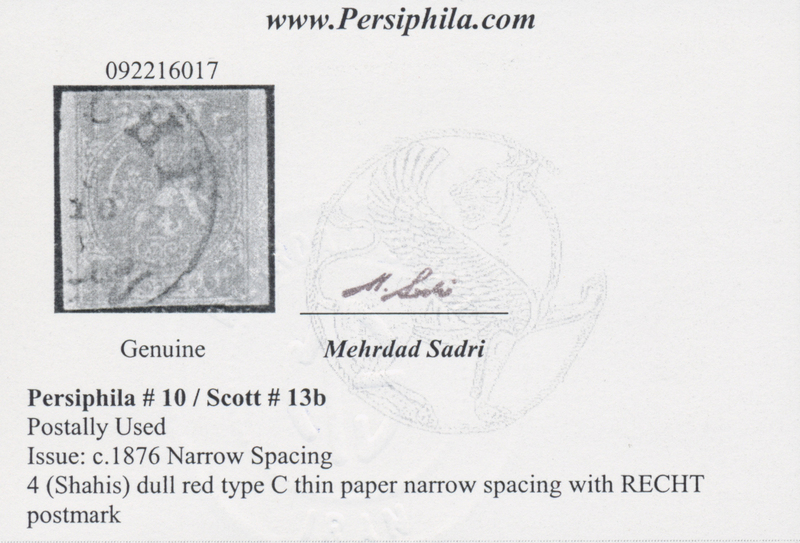 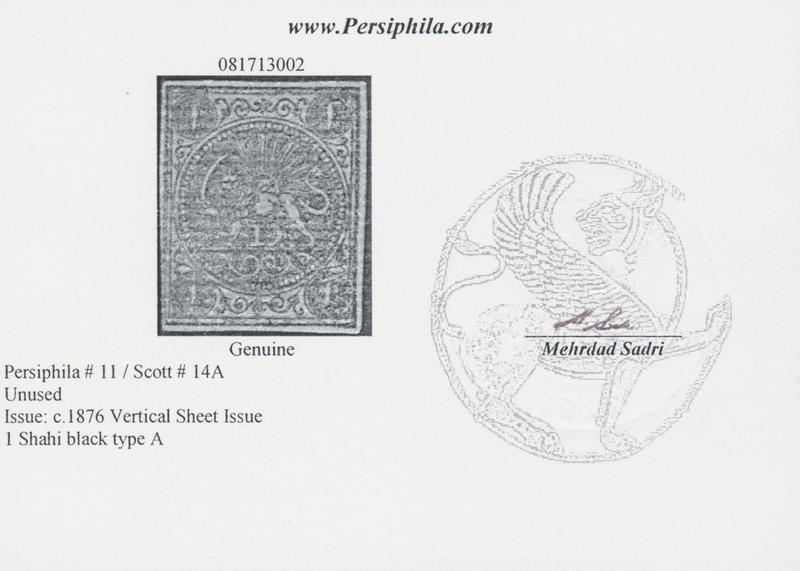 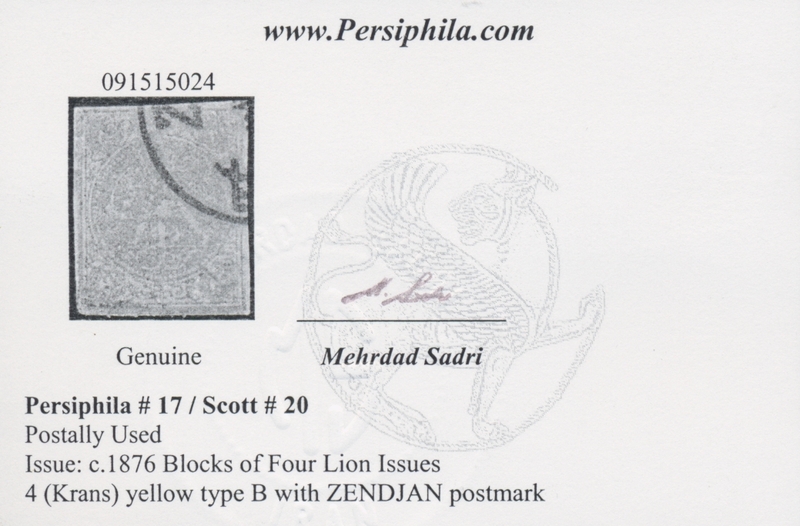 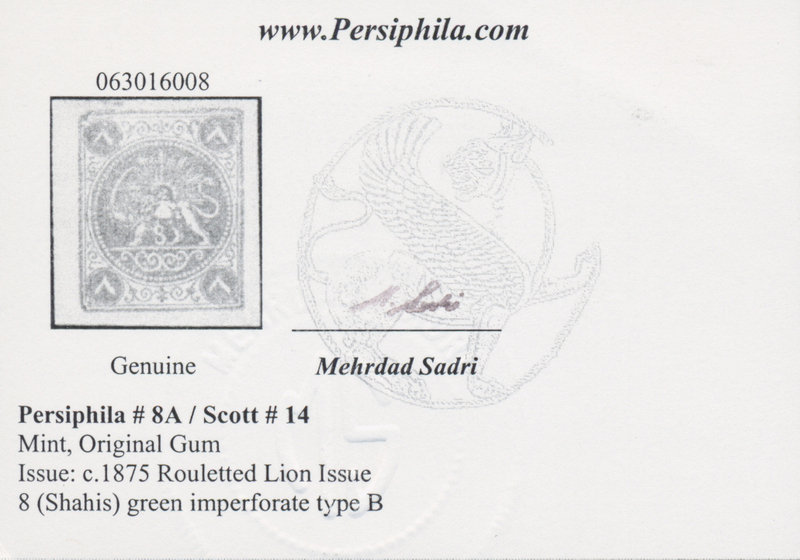 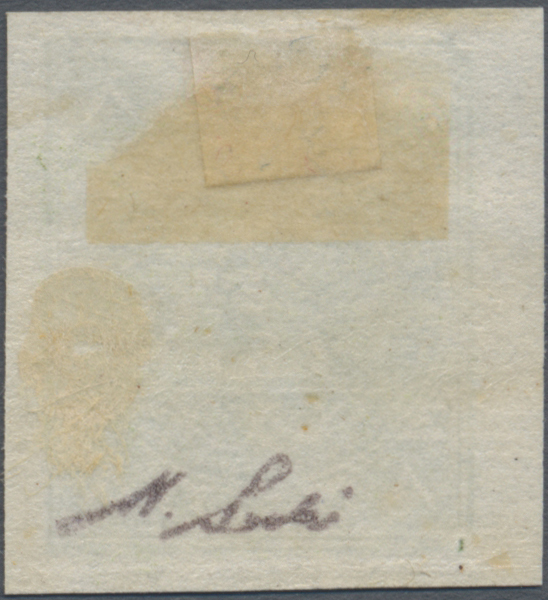 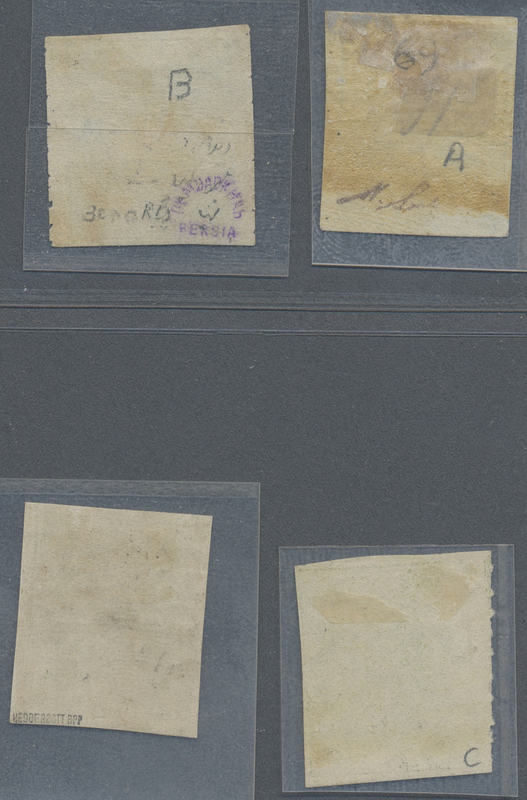 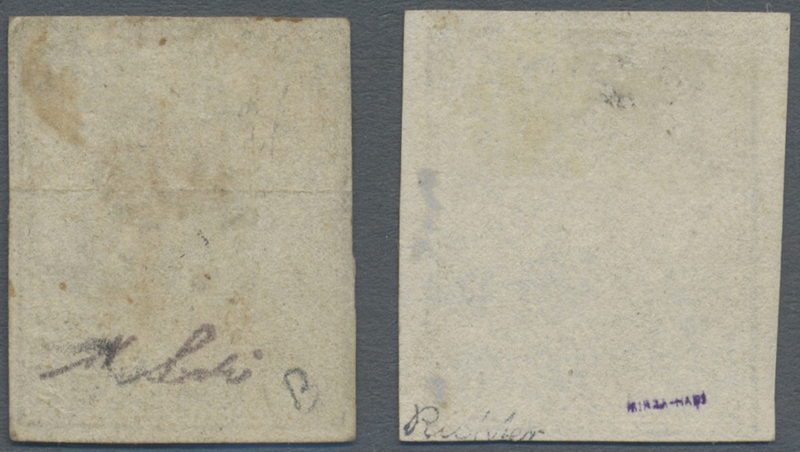 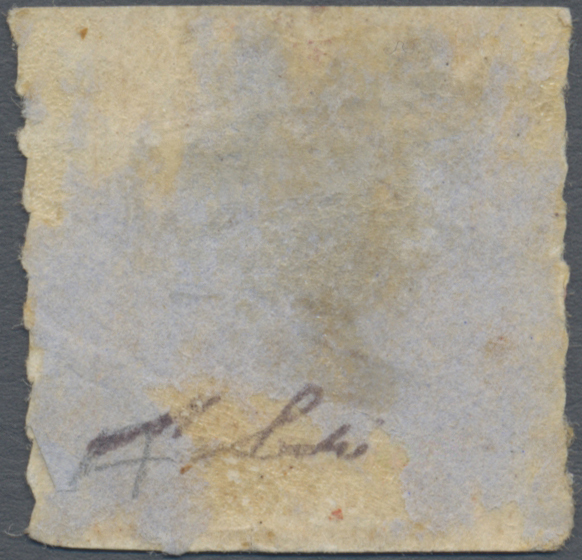 carmine, types A (colour blur)+B, two postally used copies, signed Sadri, one stamp thinned. 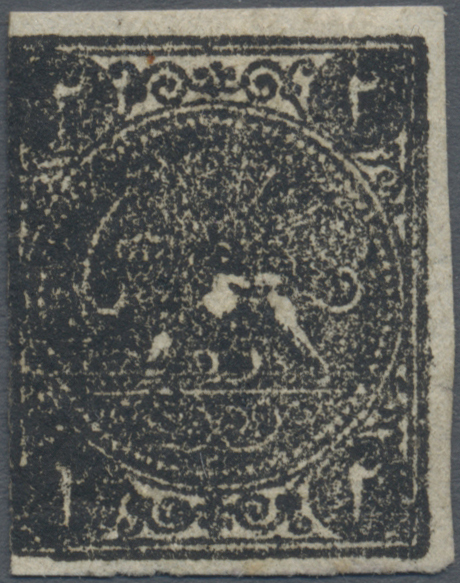 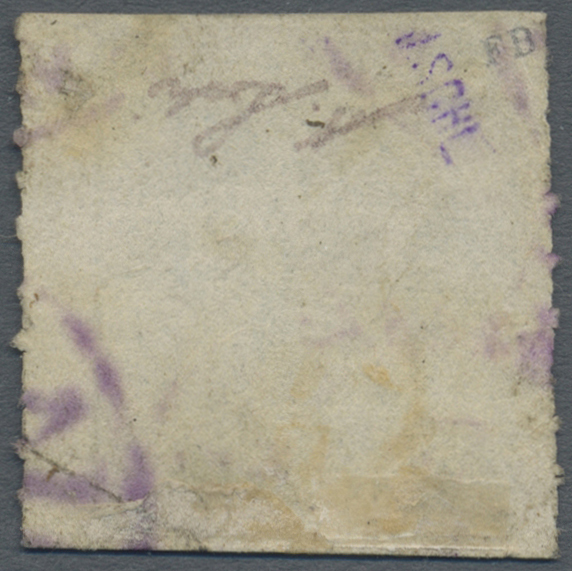 8200B gestempelt (marked) Sc. 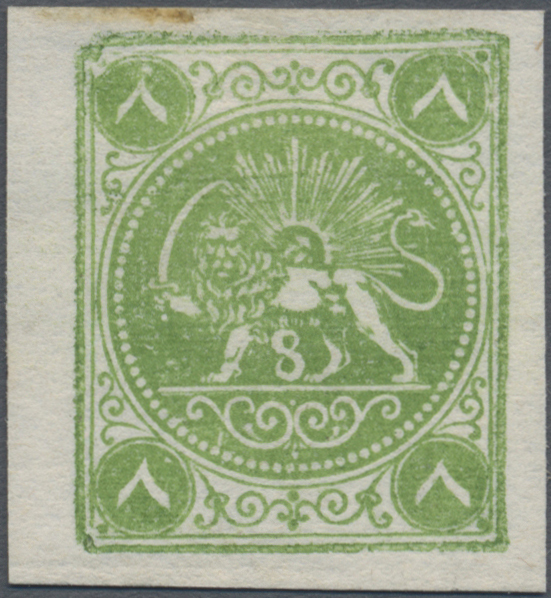 19 (4) 1876, Lion issue, 1kr. 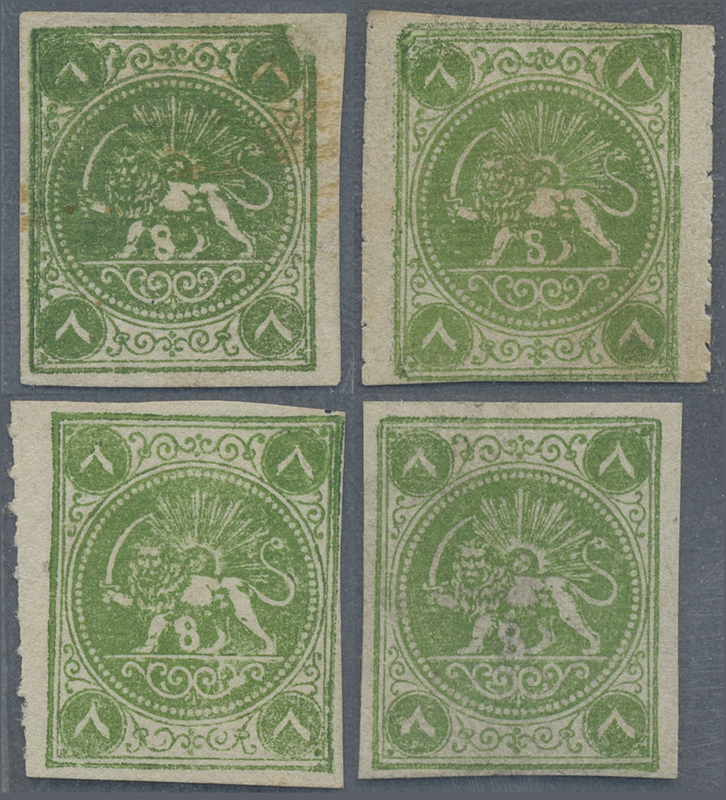 carmine, types A-D, four postally used copies, few imperfections mainly good condition. 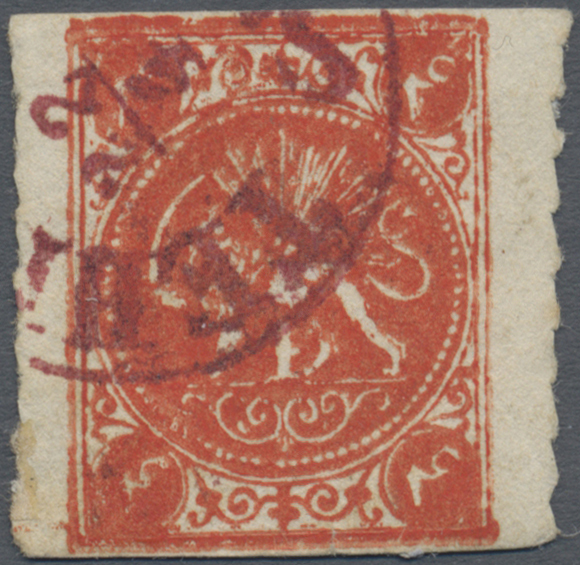 8204A gestempelt (marked) Sc. 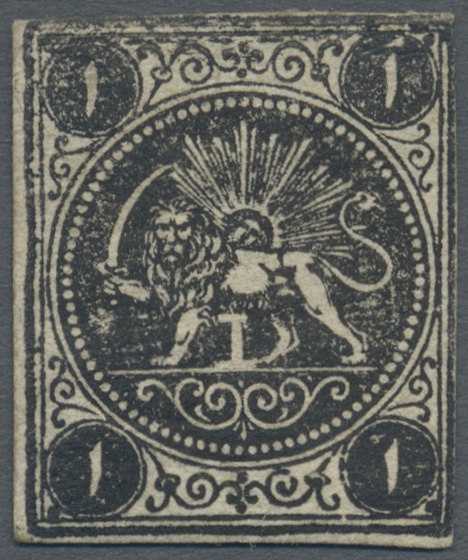 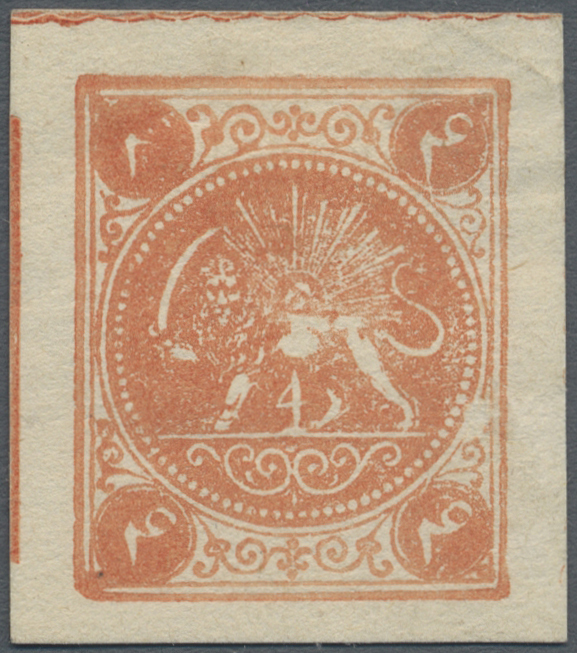 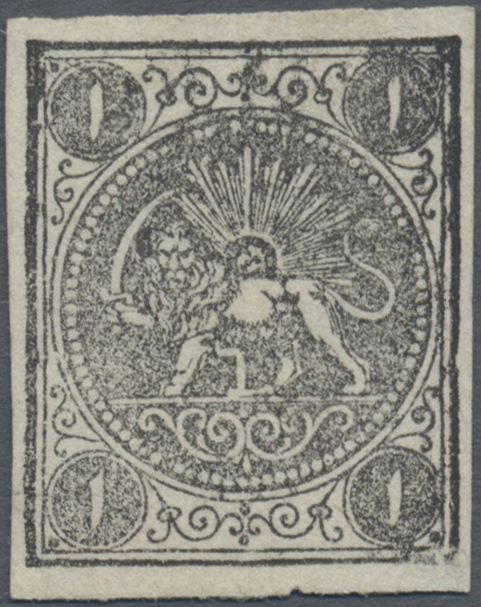 20 (4) 1876, Lion issue, 4kr. 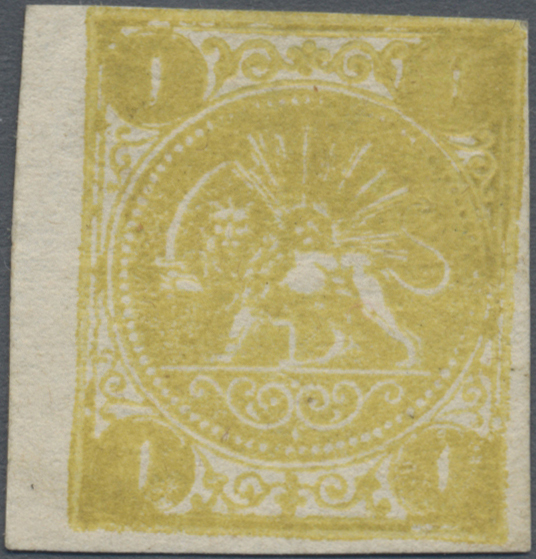 yellow, four used copies in different shades, partly slight imperfections.